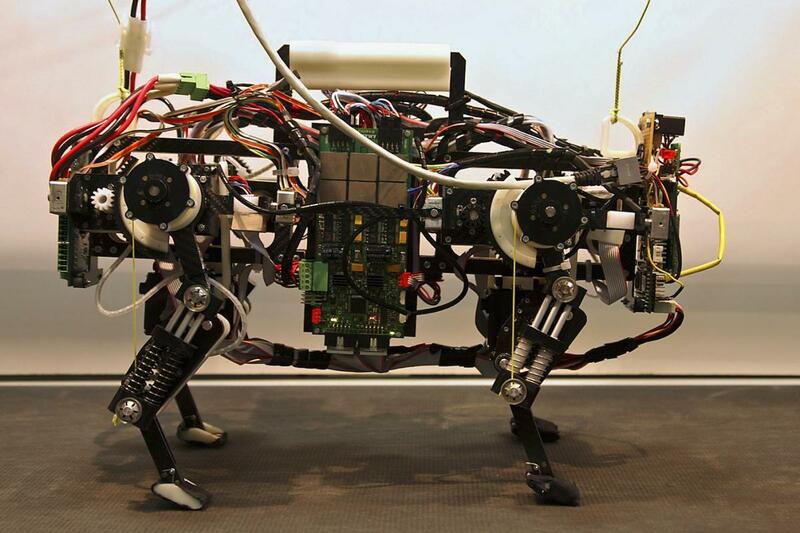 Oncilla is a open-source, open-hardware quadruped robot developed in the AMARSi project. From the project proposal: "it will provide an ideal low cost platform distributed to multiple partners […] for extensively testing the learning and control methods developed in AMARSI." For more information on the Oncilla hardware and simulation development, please refer to the public Oncilla mailinglist. See also BioRob Lab - Oncilla and Reservoir Lab - Oncilla. 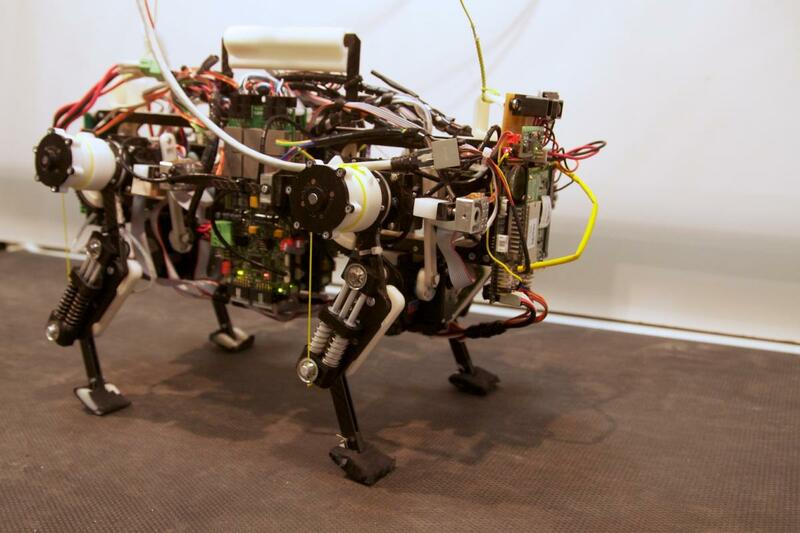 The AMARSi Oncilla quadruped robot features 12 degrees of freedom, compliance and rich sensor feedback. Hardware blueprints of the robot are publicly available under GPL v3 or LGPL v3, for details refer to the AMARSI Collaboration Platform. 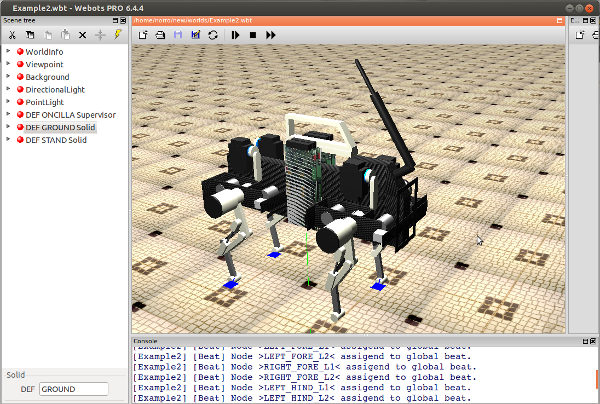 The AMARSi consortium developed an open-source simulation for the Oncilla robot, that builds upon the Cyberbotics Webots simulator. If you want to try the Oncilla simulator, please refer to the user documentation of the Oncilla Simulator 0.2. A. Sproewitz, Kuechler, L., Tuleu, A., Ajallooeian, M., D’Haene, M., Moeckel, R., and Ijspeert, A. Jan, “Oncilla Robot, A Light-weight Bio-inspired Quadruped Robot for Fast Locomotion in Rough Terrain”, in Symposium on Adaptive Motion of Animals and Machines (AMAM2011), 2011, pp. 63-64. A. Nordmann, Tuleu, A., and Wrede, S., “A Domain-Specific Language and Simulation Architecture for the Oncilla Robot”, ICRA 2013 Workshop on Developments of Simulation Tools for Robotics & Biomechanics. Karlsruhe, 2013.